What is Windows Media Center downloadable for Windows 7/8/8.1? How to get Windows 10 Media Center? What is Windows Media Center videos supported, and what is common use of Windows Media Center? Windows Media Center (WMC) developed by Microsoft is an application with a 10-foot user interface design to function as a multimedia player and a home-entertainment hub for the living-room TV. It is designed to be controlled by special remote controls prominently featuring the Green Button, but can also be operated with a mouse and/or keyboard. This button is used to either launch Media Center from Windows or to return to the Start Menu from within the application. 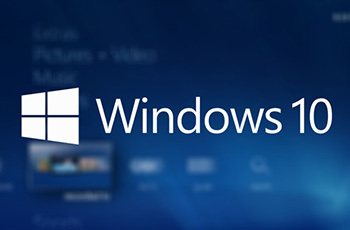 Windows Media Center is included with and available for Windows XP Media Center Edition, Windows Vista (Home Premium and Ultimate editions), Windows 7 (Home Premium, Professional and Ultimate editions), Windows 8 Pro and Windows 8.1 Pro. But there is no Windows Media Center for Windows 10 any longer. What Are the Uses of Windows Media Center? Windows Media Center plays pictures, videos, and music from local hard drives, optical drives, and network locations of the computer users. It then categorizes them by name, date, tags, and other file attributes. Media managed through Media Center can also be relayed via a home network to standard TV sets via the specially designed Windows Media Center Extender or the Xbox 360. Data throughput rate for a typical Windows Media Center session to an Xbox 360 can be up to 20 Megabits per second for High Definition content. Natively, Windows Media Center plays unencrypted videos both in SD and HD through DVB-T and ATSC standards, and even encrypted private network television stations, if a CableCard is inserted. It also plays slideshows, as well as stream television programs and films by using Netflix or other selected services. Accepting pictures, music, videos, DVDs and TV, Windows Media Center helps views and manages media files saved on both local and networked computers. Media can be categorized by name, date, tags, and other file attributes. Pictures: Windows Media Center allows users to browse and play pictures in the way of slideshows. Music: It downloads and adds Music albums arranged with accompanying album art from the Internet automatically, allows users to create song and album playlists, together with FM radio support. Videos: Videos can be played by Windows Media Center. 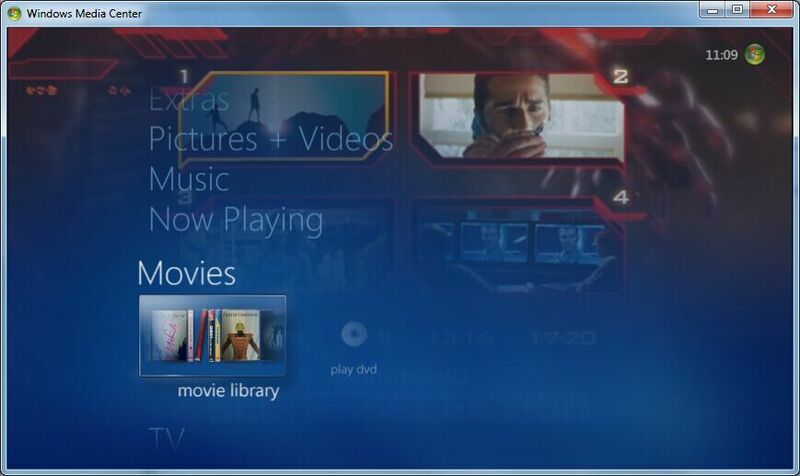 In addition, users can, through "Movie Library" included in Windows Vista Media Center, organize and play movies. It also extend to DVD playback. Windows 10 won't support Windows Media Center, and anyone who upgrade from Windows 7 to Windows 10, or upgrade from Windows 8 to Windows 10 will lose it. 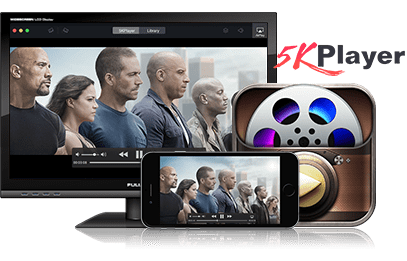 5KPlayer is the best free alternative to Windows Media Center as a free Windows DVD Player app that can play not only the region protected, copy protected, homemade and latest movie DVDs, but also 4K/HD videos, audio files and online radio. Users can create playlist in the media library, pause and fast forward the video/music playing. If you are under any illusion about running Windows Media Player on Mac OS, 5KPlayer is the best way to go, since it comes with a Mac edition. Although not for video recording, it provides with free audio video (AirPlay-enabled) streaming and downloading features for Windows (10) and Mac users. WinX HD Video Converter Deluxe is by far the most all-round video software to replace Windows Media Center in terms of turning big sized video files to smaller sized, even almost without quality loss. That is to say, if your 4K or HD videos are too big to be played, edited or uploaded (to YouTube, for example), you can turn to this 1080p HD video converter. In addition, it natively supports converting a video from one format to another, e.g. : MKV to MP4, M2TS/MTS to AVI, MOV to H.264, FLV to WMV, or to music format like MP3. The output video can also be made compatible with your iPhone 6 Plus, iPad Air 2, iPad Mini, iPod touch 1-5, Apple TV, iTunes, Air Playit, HTC, Samsung, Google(New) Nexus7, PS3, PS Vita. Similar to Windows Media Center, it can change pictures into slideshows that can be played as videos. Users can choose subtitle track (incl. forced subtitle) or directly add SRT subtitle files into videos. Windows Media Center in Wikipedia: Media Center was first introduced to Windows in 2002 on a dedicated edition of Windows XP (Windows XP Media Center Edition). Content can be played back on computer monitors or on television sets through the use of devices called Windows Media Center Extenders.